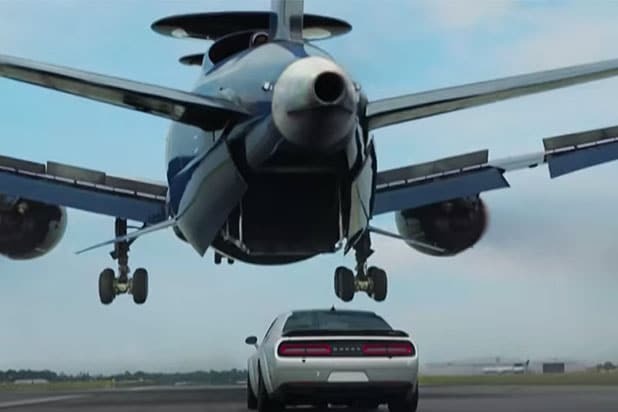 'Fate of the Furious' Fact Check: Could Those Crazy Stunts Really Happen? 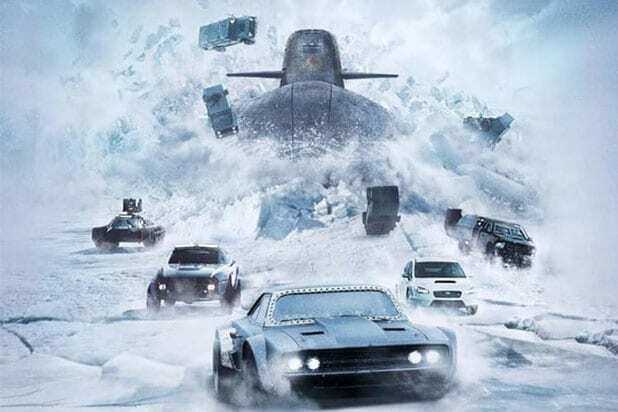 The “Fast and Furious” franchise is known for its unbelievable and out-of-this-world action stunts, and in that respect, “The Fate of the Furious” doesn’t disappoint. According to the MythBusters, some of the craziest scenarios even have some truth behind them. 1) Can The Rock Redirect a Torpedo With His Bare Hands? Even though the actor, who plays Hobbs, tweeted that he indeed can “redirect” a two-ton torpedo, we asked Louden and Jonathan Lung whether that’s actually humanly possible. And to our surprise — it is. The duo said they tried to find the right torpedo that matches the one in the film, which looks like a classic, modern torpedo. They made assumptions to make their calculations such as measuring the distance from The Rock’s car to the other car as well as the relative speed of a torpedo, that is actually meant to be in water. “The typical cruising speed for a torpedo is about 60 mph, but it’s going to be slower above water,” Lung said. Because it’s on ice and the other car was about nine car lengths away, they say The Rock would have to push about 450 foot-pounds of force to veer this torpedo. The fact that the torpedo didn’t explode when it busted through the ice in the film made The MythBusters assume that the torpedo had a time delay in arming the torpedo. Since it busted through the ice, it wasn’t armed — otherwise it wouldn’t have made it through the ice. Also Read: Can 'Fate of the Furious' Beat 'Furious 7' China Box Office Record? 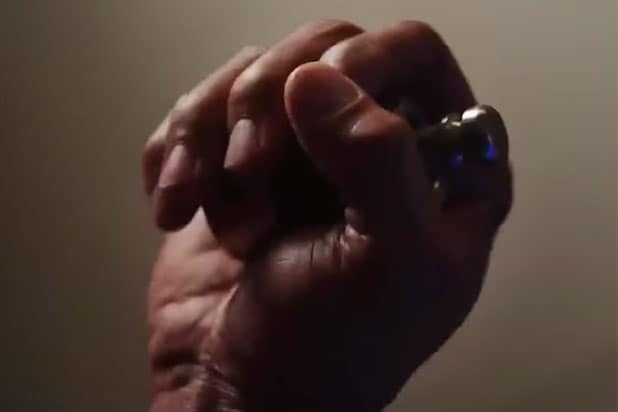 2) What About The Rock Tossing Away a Grenade? Well, for starters, The MythBusters don’t think the contraption that Charlize Theron and Vin Diesel use to attack the headquarters is real. It’s like a system that fires off several grenades, which made The MythBusters believe they modeled their prop after the timer fuse on a classic grenade. 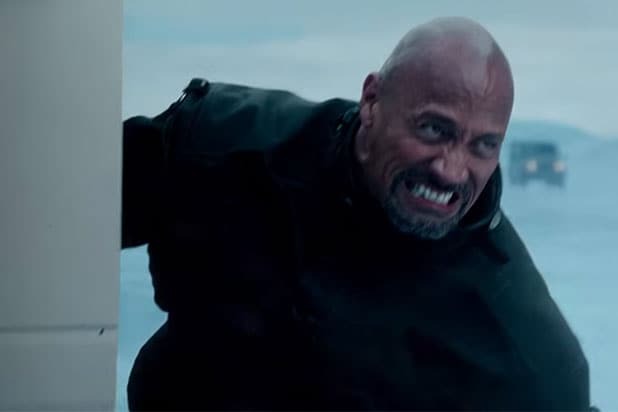 So it’s entirely possible that the grenade had a long enough countdown (each grenade has a different countdown typically between 4 to 8 seconds) for The Rock to throw it behind him. 3) Could Someone Actually Hack All Self-Driving Cars In Manhattan? If they were 1,500 Teslas, yes. But The MythBusters say it isn’t really possible for someone to hack into the systems of normal self-driving cars that have the capacity of parallel parking — at least in our current time. That’s because the self-driving systems on other vehicles that can parallel park only have access to the brake, steer and throttle mechanisms in a car, which can be remote controlled — but you would need to a) see the vehicle to remote control it and b) know the exact location of the car’s starting point. Teslas have GPS and cameras that can optically see lanes and know where it is relative to the world, but the brand new Jeep does not have that kind of technology. The computer only has access to throttle, brake and steering but the software could never drive the Jeep off the ramp without knowing the starting position. But The MythBusters add that it also depends on how much prep Theron had to execute this hack. After all, her character is supposed to be this crazy hacker called Cipher. 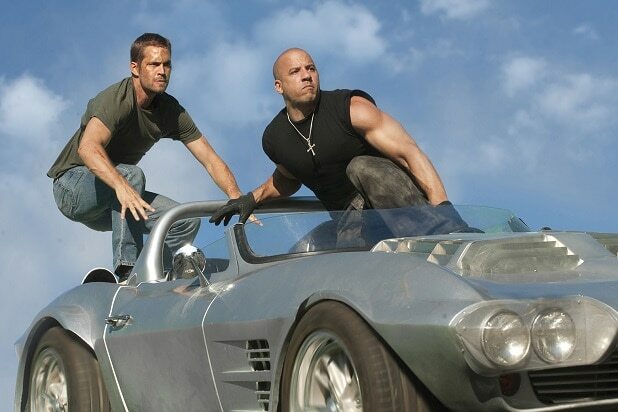 4) Could Vin Diesel Win a Race Using Laughing Gas? 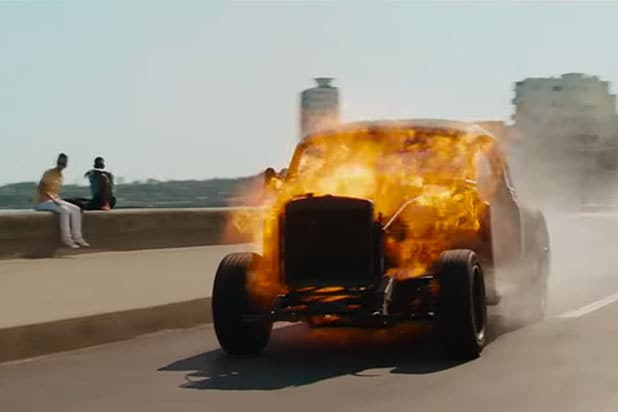 In the opening sequence, Diesel removes all the heavy parts of a car in order for it to go faster. Lung said that’s standard procedure. Diesel’s use of laughing gas to rev up the engine, which Michelle Rodriguez calls “Cuban NOS” (typically spelled “NOx” or the brand name “NOS” — the latter of which they use in the franchise), has at least a little bit of truth to it. According to Louden, NOx provides more oxygen to the engine. In NOx modified cars, when you press that button, it pumps in more gas with oxygen, but if the engine is weaker, it’s not going to contain that power. 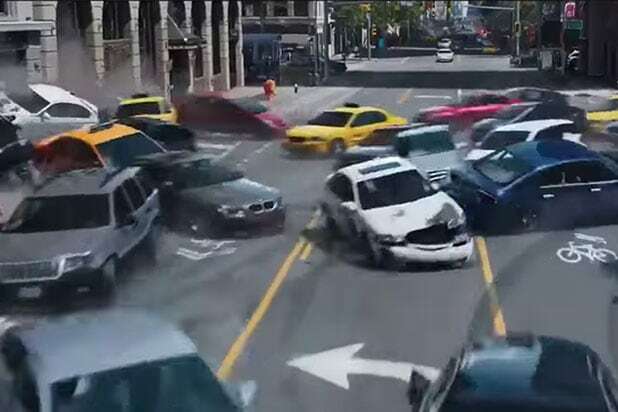 After reviewing the car used in the scene, Louden said that a vehicle could survive an engineered solution — one specifically designed for the vehicle that provided very little extra boost. 5) Could Charlize Theron Actually Fly an Invisible Plane? In the movie, Theron is surprised to see that her plane has been compromised, given that it’s literally supposed to fly under the radar. The idea of an invisible plane seems somewhat unrealistic, but The MythBusters say there are two ways to avoid radar — passively and actively. Passively, you could fly so low that radar waves basically balance between ground and 200 feet. But if it’s a large aircraft, you’re not going to fly it that low — it’s not fuel efficient and it’s dangerous. Another passive way is to have rolling smooth edges on the plane that reflect rays in a different direction than from the original radar. There’s also special paint, used by the military, that could be used that absorbs electromagnetic rays so it becomes “invisible.” However, the plane could not literally be invisible or camouflage itself to fit the background. 6) Could a Submarine Actually Race Cars? In the final scene, there is an insane chase over a frozen Russian bay. In the sequence, the protagonists race a submarine to a set of sea locks — an underwater gateway — in an effort to block the sub from escaping into the open ocean. Could it catch up to the speeding cars? No, especially not to the ($1 million!) Lamborghini or the Bentley.